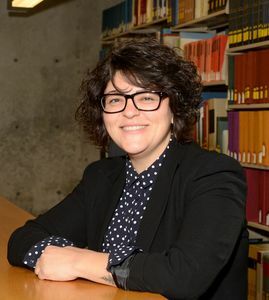 Congratulations to GTU doctoral candidate Jennifer Fernandez (Theology and Ethics) who has been selected to receive a Hispanic Theological Initiative/Lilly Fellowship for 2019-2020. In addition to a generous grant, the Fellowship provides editorial support as well as networking and professional development opportunities to PhD candidates. Jennifer’s dissertation is focused on women's social movements as a locus for constructive theological work, a project she believes is “deeply relevant to our time” in that it is “positioned to make claims about God found here and now, active and moving through humanity.” This is the third consecutive year in which a GTU doctoral candidate has received the HTI Fellowship, as Fernandez joins Yohana Junker (Art and Religion) and Jennifer Owens-Jofré (Interdisciplinary Studies) as recent recipients of the HTI/Lilly Fellowship. While working on her dissertation, Fernandez is serving as assistant instructor at The Seattle School of Theology & Psychology. She notes, “Being a PhD student at the GTU means I don't have to restrict my theological work to one discipline or framework. Instead, at the GTU I've been given the freedom to do deeply creative and constructive theology that is both academically rigorous and expansive in its scope." Since 2007, the GTU has been a member of the Hispanic Theological Initiative, which nurtures and supports Latinxs pursing PhD studies in religion and theology. Congratulations, Jennifer Fernandez, from all of us here at the GTU!